648 pages | 182 B/W Illus. 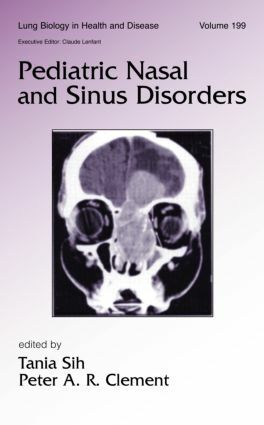 The first and only source to offer a detailed and authoritative review of every aspect of nasal and sinus disorders in children, this reference provides an impressive collection of reviews on topics ranging from disease mechanisms and immunodefense to diagnosis, medical management, and surgical strategy. "…provides remarkable breadth and practicality in its insights….a fine addition to the literature."